In nature’s setting with all the upgrades! Along the Chesapeake & Ohio Canal National Historic Park (near Lock 6), close to High Island in the Potomac River near Little Falls, the old tow path, hiking and biking trails, and the Old Conduit Road. Former home to two Olympic Kayakers. Reno-vated kitchen and bathrooms, refinished floors. Rock patios, pathways, stairs, and terraces surround this diamond in Brookmont – ½ mile to shopping, and 1 mile to the DC line. 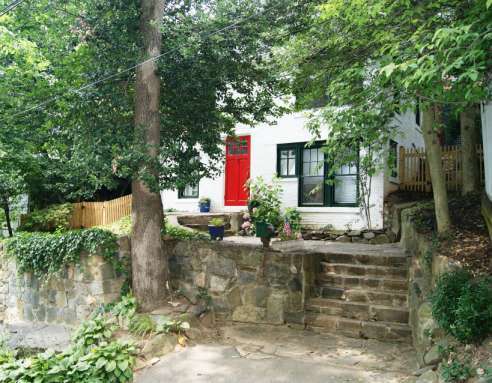 Located in the Brookmont community known for its affinity to nature, hiking, kayaking, and outdoor appreciation, this home is within throwing distance to the access to the National Park along the Potomac River. 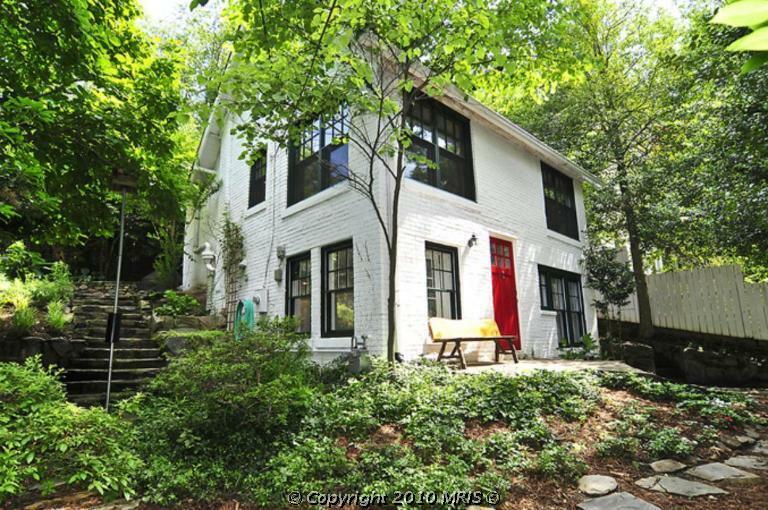 The home was built in 1928 in a natural hillside setting. This two bedroom, two full bath Colonial includes the open living room with large windows, brick wood-burning stove/fireplace with flagstone hearth. The breakfast area and kitchen look out to tree-height views of the park. The new kitchen is highlighted by granite counter-space, new cabinetry, new appliances, and a country pantry. The second level back door opens outside to a gracious stone patio, stone retaining walls, terracing and natural gardens, and sweeping stairways to lower level terraces and garden areas. Renovations and updating were made during 2006-2008. The hardwood flooring throughout the house has been refinished to its natural tones, and the windows have been replaced and updated. For more information, see: www.HillSlowinski.com.